This is a car that I have owned since 1992. I purchased it in Melbourne Australia. I make no bones about the fact that it is a “reproduction”, using many original parts, as well as some of my own manufacture. 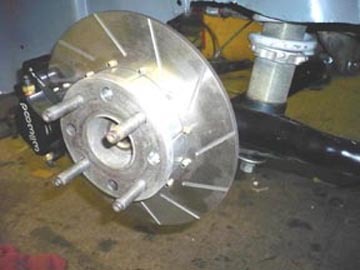 The transaxle is interesting in that it is a five speed, made up of the differential section of a Fiat 600D and the gearbox from a Fiat Punto. Voila - a relatively inexpensive full synchro 5 speed transaxle. 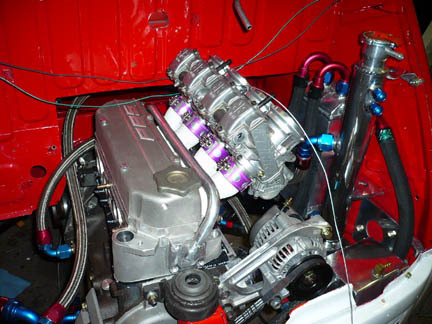 The engine is 998cc with a PBS derived crossflow head with individual carburetors per cylinder. As per the Abarth continuation cars it is equipped with 4 wheel disc brakes, independent front suspension and later model tubular trailing arms. I initially competed with it in historic rallies such as the Repco Mountain Classic, whilst I was in Australia. After moving to the USA I competed with VARA in SoCal and was fortunate enough to win the GP Championship in 1994. The next racing adventure was a full season with the Abarth AG Coppa Mille in 2001 and again in 2004. Placing 3rd overall in 2001 and 4th in 2004. 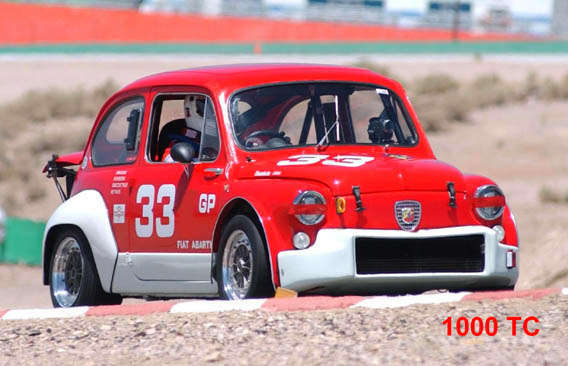 In this series it is ALL Abarth cars with between 20-30 entries per race. 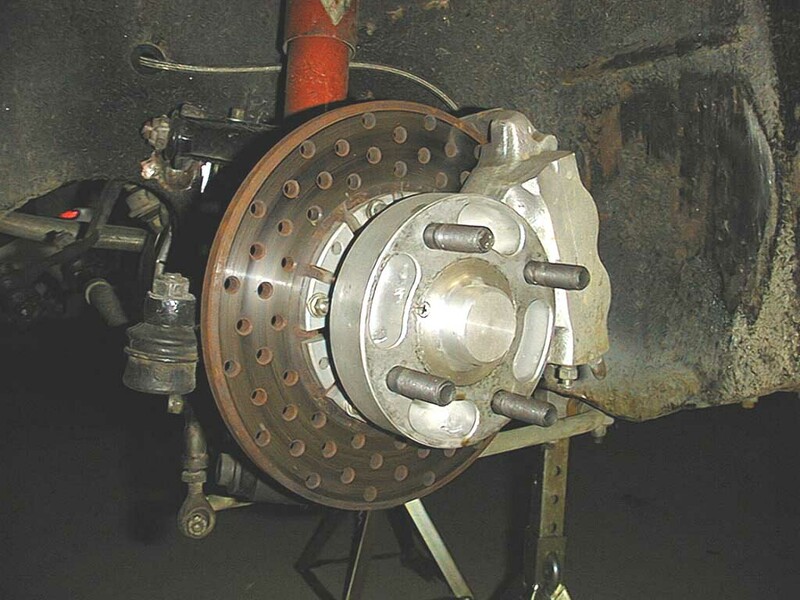 I added a photo of a clutch change prior to the race at Spa Franchorchamps. Great companionship, as two or three other competitors pitched in. Four people and 40 minutes and the car was ready to run. 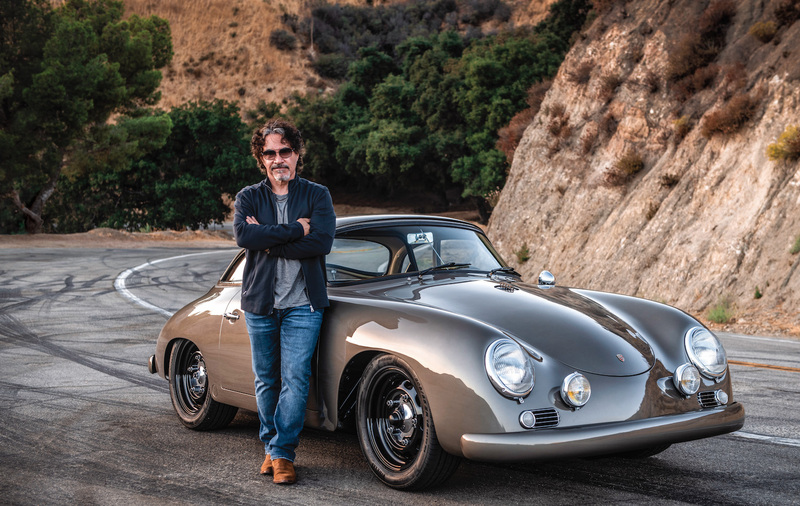 I have been lucky enough to build a small business out of my historic racing activies, making parts for these cars and have managed to cobble together a complete machine shop and engine dyno cell in the process. I have signed up for the new Classic Endurance Series for 2010 as my next adventure. Feb. 10, 2011, 2:50 p.m.
Aug. 1, 2011, 7:01 p.m.
wonder full experience you have been having it seems. I hope all continues well. I enjoyed your write up.